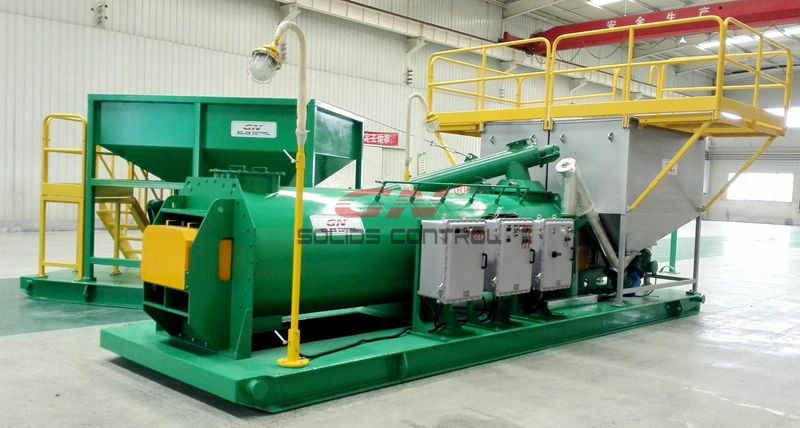 GN Solids Control is leading manufacturer from China specialized in waste management equipment and system. GN Solids Control (US brand GN Solids America) owns a good name in worldwide for drilling waste management equipment. It is based in Beijing China and Houston, USA. It is mainly made in China but joint technology with U.S leading company. GN Solids Control promoted drilling cuttings solidification unit for some years. And have rich experience on design and manufacturing drilling cuttings solidification unit. GN keeps upgrading the design to make it suitable for more applications and more user-friendly. 3) There is also some client want to use to the drilling cuttings solidification unit for drilling mud or drilling fluids, or the sludges in mud pit or waste pit. This application is not recommended from GN Solids Control. As the fluids content is very high in these conditions, it is normal very flowable. Firstly, the drilling cuttings solidification unit utilize screw conveyer to transfer the cuttings, these materials with too much higher fluids, it is not easy for auger transfer. Secondly, a higher content of cement and chemical should be added to the system in order to get a just relative dryer condition.